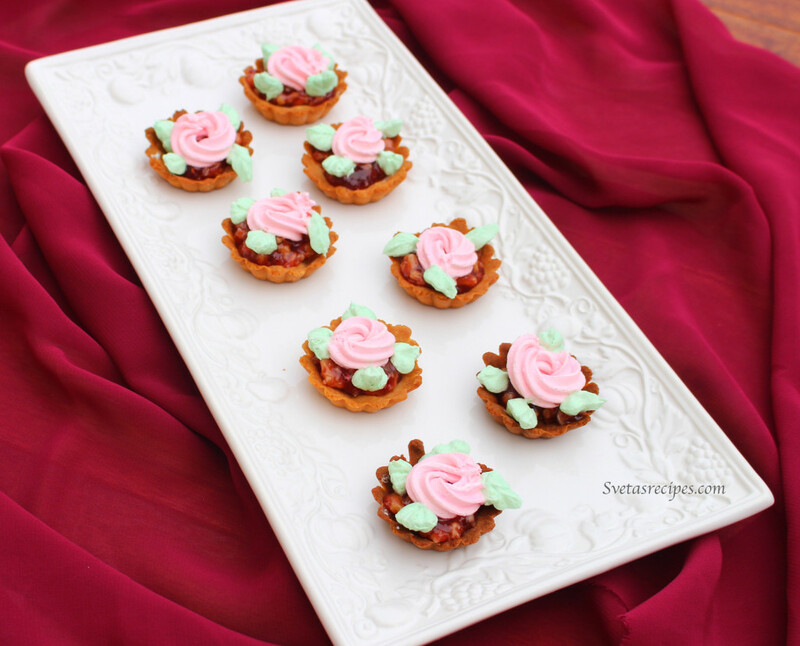 Another unique way of decorating shell tarts (korzinochki) and making them taste delicious. 1) Break up all of the walnuts into small pieces. 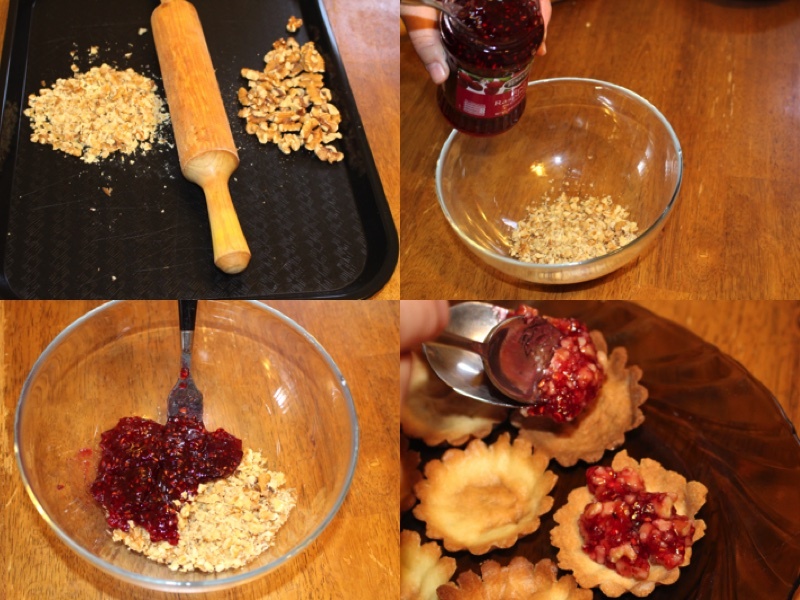 3) Take a teaspoon of the mixture that you just made and put into each of the shell tarts. 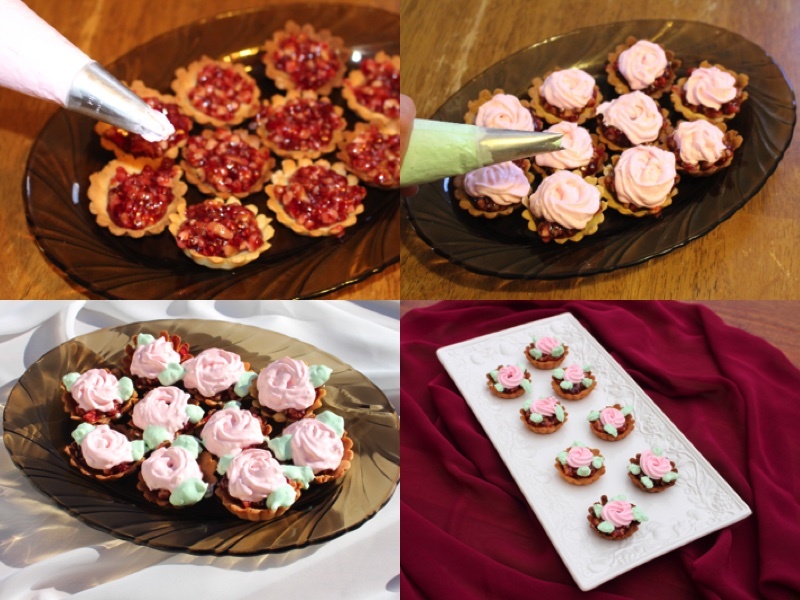 4) Add pink food coloring to the cream that i explained how to make in the previous recipe and put it into a cake decorating bag and squeeze out in a circular motion to make roses. 5) Add green food coloring to a small portion of cream and add it into another cake decorating bag and squeeze out a little bit at a time to make the leaves. Break up all of the walnuts into small pieces. 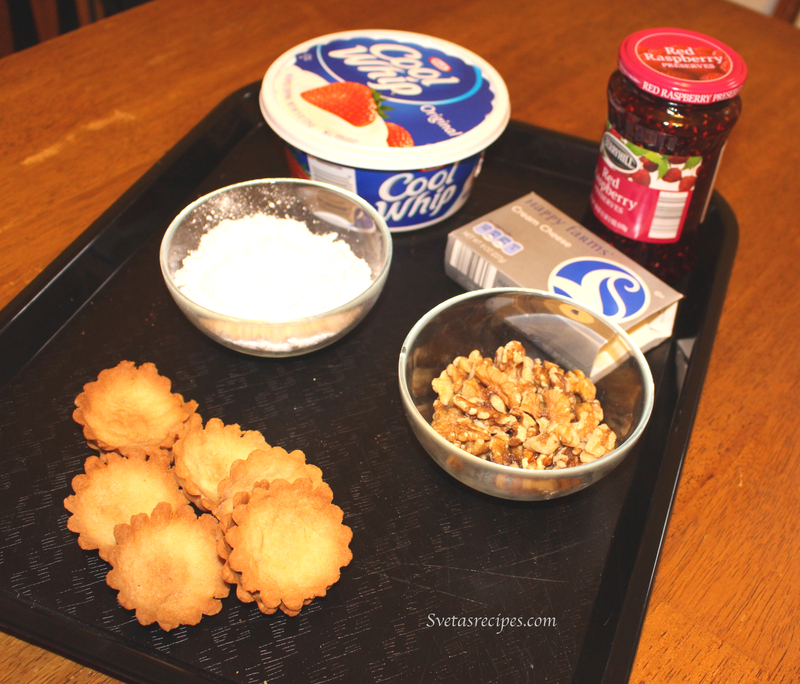 Take a teaspoon of the mixture that you just made and put into each of the shell tarts. Add pink food coloring to the cream that i explained how to make in the previous recipe and put it into a cake decorating bag and squeeze out in a circular motion to make roses. Add green food coloring to a small portion of cream and add it into another cake decorating bag and squeeze out a little bit at a time to make the leaves.